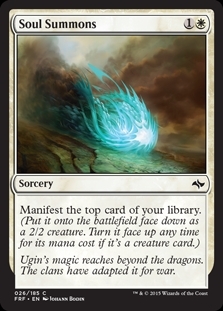 Crux of Fate ($0.55) Price History from major stores - Fate Reforged - MTGPrice.com Values for Ebay, Amazon and hobby stores! Card Text: Choose one - ? Destroy all Dragon creatures. ? 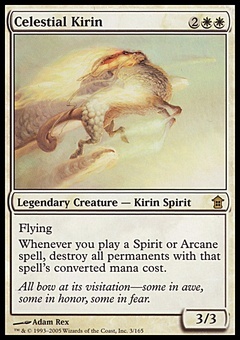 Destroy all non-Dragon creatures. 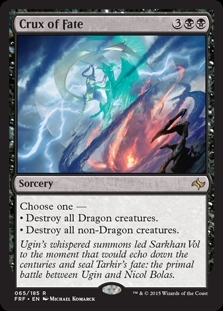 Flavor Text: Ugin's whispered summons led Sarkhan Vol to the moment that would echo down the centuries and seal Tarkir's fate: the primal battle between Ugin and Nicol Bolas.